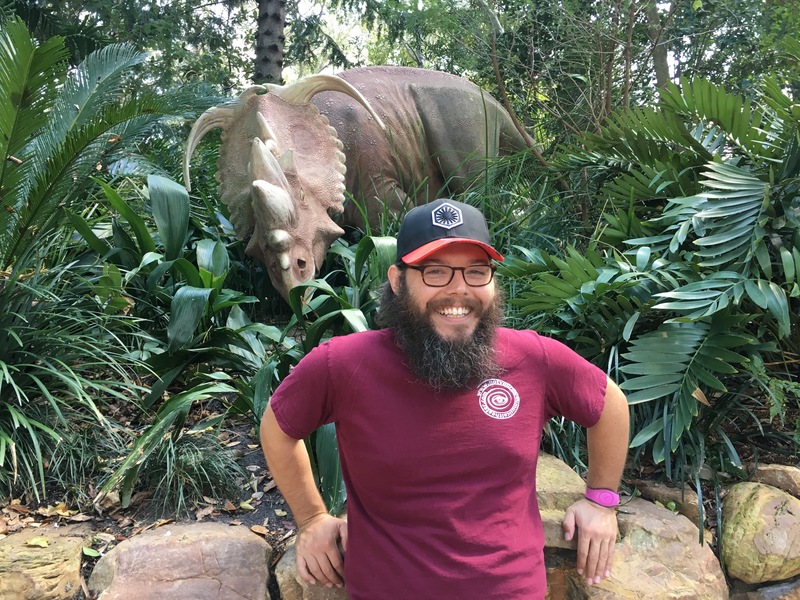 Author’s note: This blog got lost in the shuffle of leaving Florida. We’re currently in New Mexico and will have new blogs for you soon. Enjoy this one! 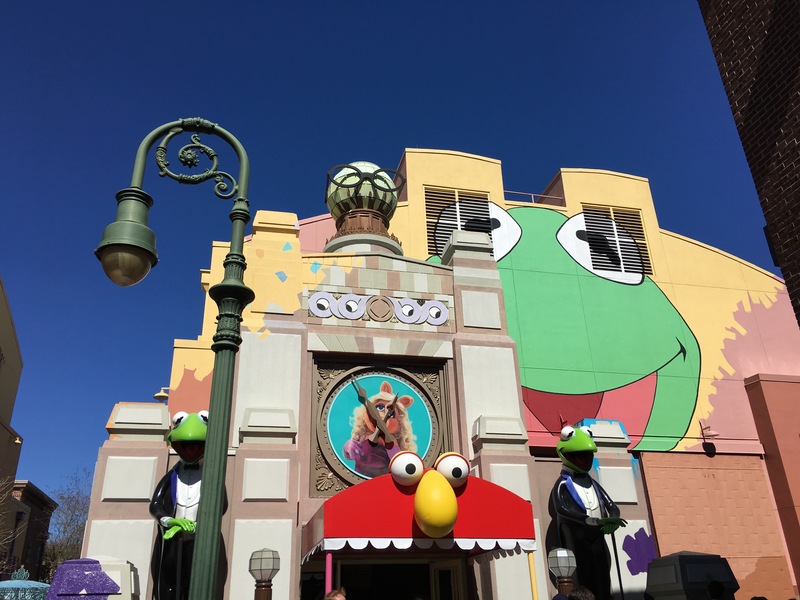 What’s more fun than a family visit at Disney Springs? We have had such a wonderful series of visits from friends and family these past few months!. Our latest visitor was my sister Abby, an amazing woman who actually fell for Disney long before I did. 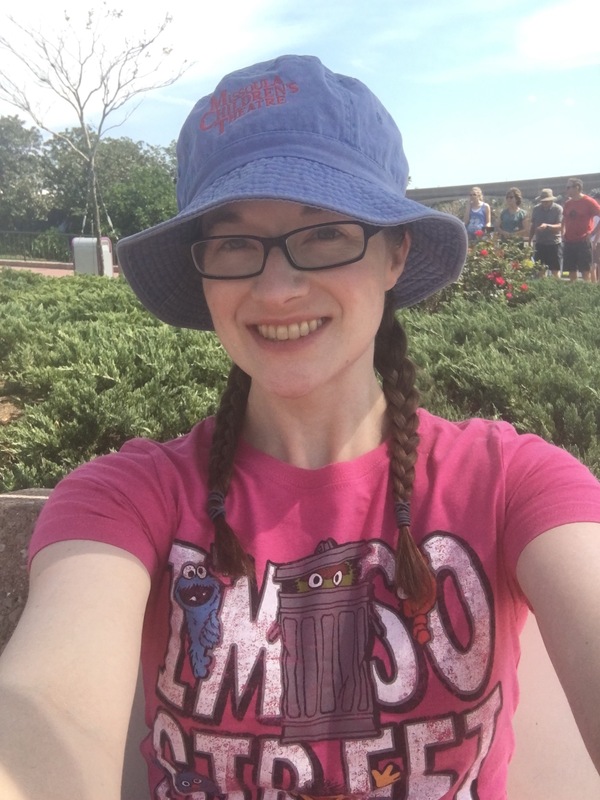 Her visit to Florida was for work, and while she didn’t get to visit any parks during her stay, she had some time to visit Disney Springs with us on the day she arrived. 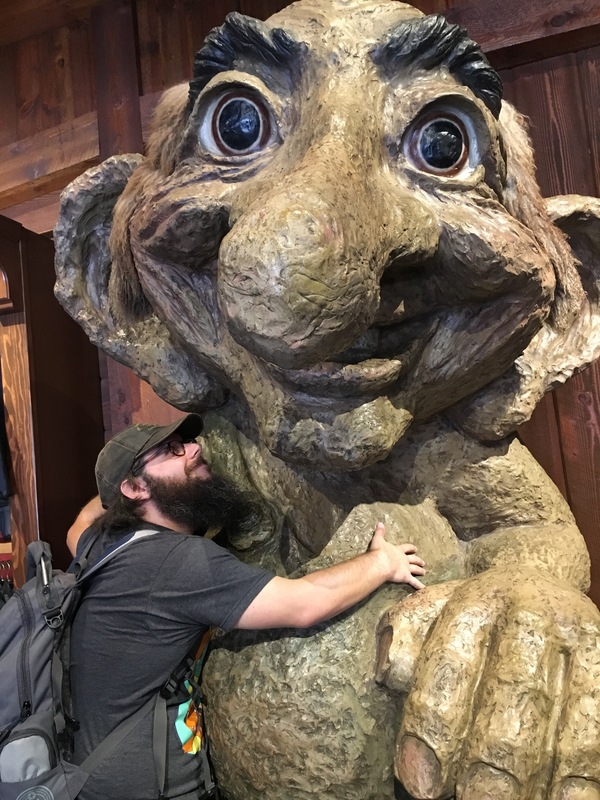 Honestly, we hadn’t been to Disney Springs in quite a while – probably months – because when our annual passes for the parks were valid, the only days we’d consider visiting Disney Springs would have been weekends, and weekends there are often insanely crowded with locals. So it had been a while, and I knew it would be fun to not only meet up with my sister, but share a bit of what makes Disney Springs a special place for us. Probably the most exciting thing about the visit for us was getting to go to Raglan Road, a sit-down Irish pub. It has some beautiful, intimate-feeling rooms inside with dark wood and fancy plates, and it also has some great outdoor tables with umbrellas. We managed to snag a table completely shaded by the buildings around it, and it made our visit feel much, much cooler than the 86 or so degrees it actually was. It was lovely. Being gluten-free, I’ve heard some pretty fantastic reports of the food at Raglan Road, with the number one highlight being that they have a dedicated gluten-free fryer! That means you can order fish and chips and onion rings, all gluten-free! Abby was generous enough to share her fish and chips with us – the fries aren’t crispy, but they’re decent and nice if you love the taste of potato, and the fried fish was crispy – you’d never guess it was gluten-free! The onion rings were equally crispy and delicious, standing up perfectly to the outrageous horseradish mayo type sauce they served them with. Both Ross and Abby seemed happy with their beers. I drank all of the water and ate all of the fried deliciousness, and it was good. As Abby said of Disney Springs, “So it’s basically just a mall,”, and that’s certainly true. We showed her our favorite stores (including the one where I got my Snow White-inspired dress from Ross for my birthday last year) and pointed out the live music and the Lego sculptures. And we stopped at Eliza’s Bakery, which I was thrilled to see is now carrying chocolate coconut soft serve (in addition to vanilla) and making some amazing-sounding flavored shakes! All vegan/gluten-free/soy-free/dairy-free etc. I wasn’t in the mood for coconut soft serve though. I was in the mood for baked goods, and Eliza’s always delivers. I got a thin mint cookie, which was delicious (hard interior covered in chocolate) but started melting as soon as I walked out of the store, and this outrageous container of extra donuts, called The Bakery Sink. Yes, they sell you a pile of four donuts when they have extras in the morning. I’m limiting myself to one at a time. So far I’ve had chocolate covered and a lemon poundcake type one. It was wonderful to catch up with Abby and hear about her adventures in Austin. It was also fun to see her reaction to fun merchandise and clever theming. Thanks so much for the visit, Abby! Wherever you are this week, I hope you find something to smile about and enjoy like we are. Well, it’s arrived. The day we dreaded one whole year ago. What is this dreaded day, you may logically be asking? Well of course – it’s the day that our Disney World annual passes expire. Our final chance to watch Alberta Bound, our favorite performers at Epcot (and maybe Disney World). Some of you may be thinking, finally! We’ll get a break from this Disney stuff! And if that’s you, yes, you’ve got lots of non-Disney posts to look forward to. Others may be saying – wait!? Why would you let them lapse! Go renew them, and enjoy them while you’re still in Florida! A gorgeous day for our final Epcot visit for 2018. Plus, you may have noticed that while we’ve been in Florida, we haven’t done much that isn’t Disney. Sure, we’ve performed a few concerts, attended a few open mics, shopped for sneakers and for a video game…but have we seen a concert? Visited a state park? Checked out a museum? Negative on all fronts, so far, although we plan to do at least two out of three in the next month. Jamie’s brother Robbie and his girlfriend Ria made sure to visit us while they were on vacation in Florida. Thanks for the company and for the museum visit, and for the gelato – it was delicious! We’ve also got lots of social time scheduled with visiting family and friends, and when you’ve only got one or two days free for adventuring, that can be a challenge. 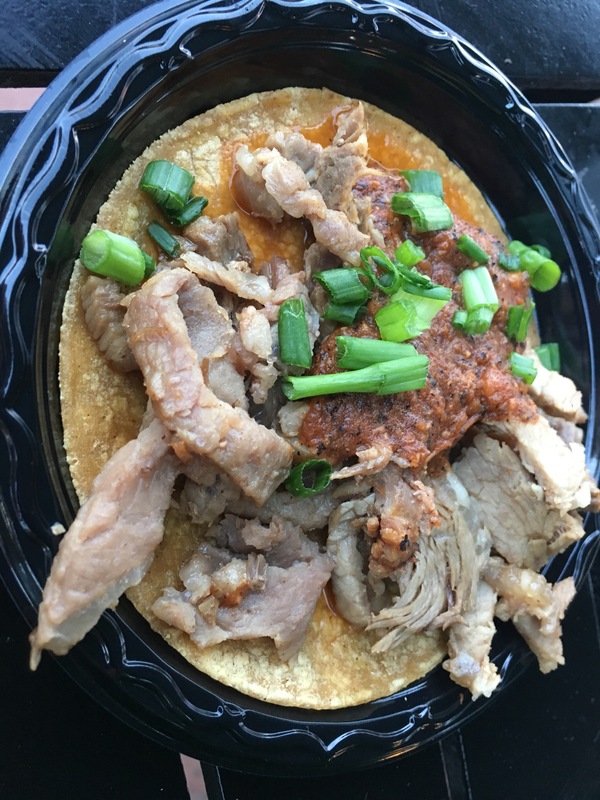 Without the impetus to go to Disney and use our passes, we can visit the beach or grab lunch with friends and not feel like we’re missing out on something. So will we miss Disney World. Yes! Definitely. But we are estimating that we’ve visited the parks at least fifty days this past year. How amazing is that!? Disney World will be there in the future. And in the meantime, we’ll be enjoying everything else life has to offer. 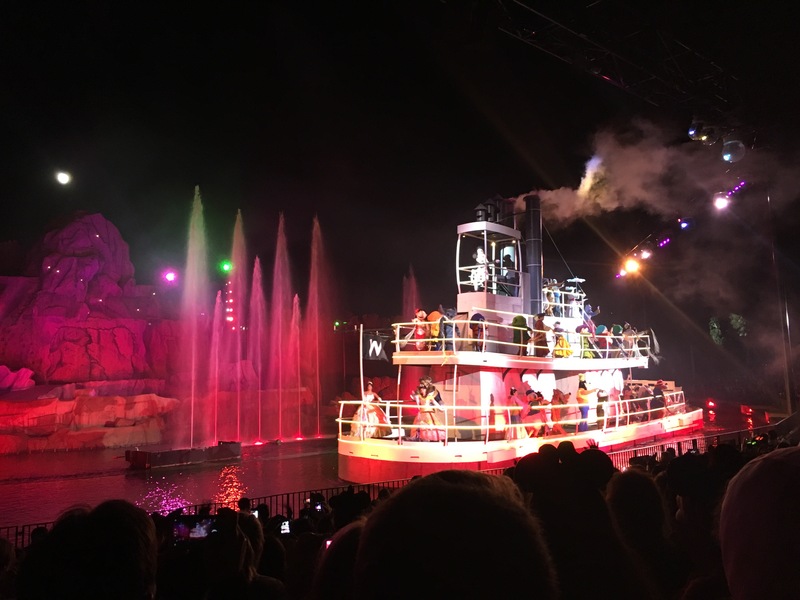 If you want to learn more about RVing at Disney World, I wrote about that here. Surprising as it would be to Ross and Jamie of 2014, Ross and Jamie of 2017 are addicted to Walt Disney World. 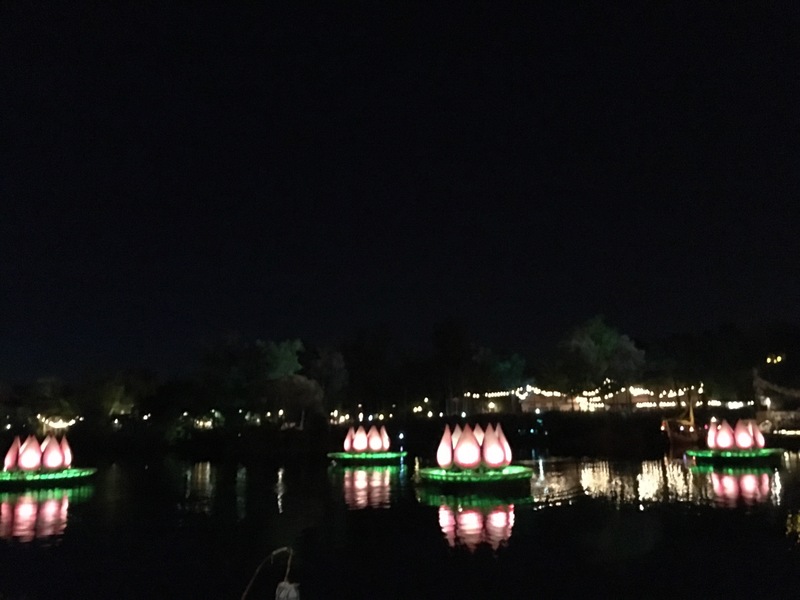 So faced with a few weeks where our annual passes are blacked out, I wanted to check an item off my bucket list: visiting the Disney resorts during the holiday season. All of the resorts (aka hotels) decorate for the holidays, but while some of them keep it very simple, others are known for going all out, from Christmas trees and wreaths to gingerbread houses and trains. I knew that realistically, I wouldn’t get to see them all. (Could I? Sure. But it would get old and I don’t want to spend all of my free time driving to busy parking lots.) 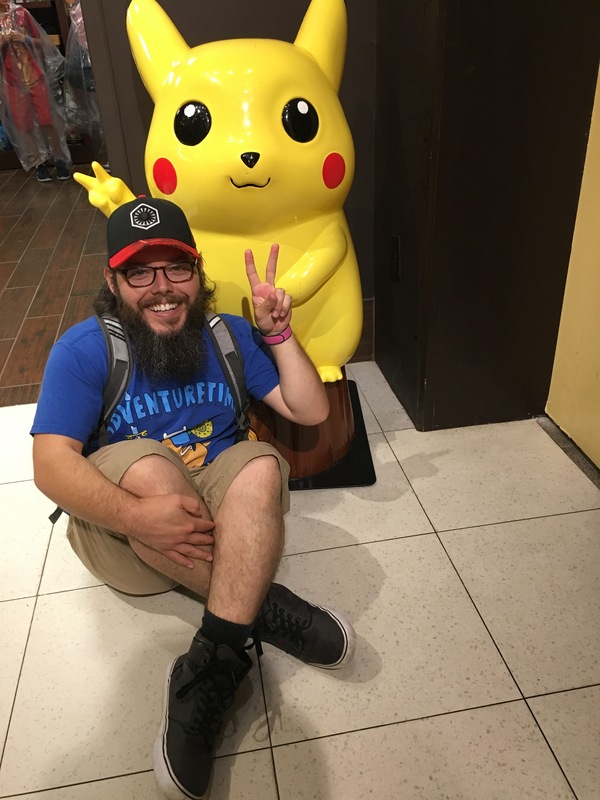 So I narrowed my list down to a Top Ten, with the goal of seeing at least two resorts and more, depending on how much energy Ross and I had this past Wednesday. The day got off to a slow start. We both slept in. I was ready to go by 11:15, but Ross needed another half hour or so, and ultimately after some stress and discussion and debate we decided yes, we’re doing this, and we’re in the car by about noon, with a cooler for lunch, lots of water and a sunny day to explore. If you decide to do this, I recommend a car (even if it’s a rental) because Disney doesn’t have direct buses from resort to resort. I also recommend bringing lots of water because most resorts don’t seem to have very good water fountains. My number one choice was Port Orleans – French Quarter. I fell in love with the beautiful, Mardi Gras-inspired color scheme and decor here. The resort itself is really well themed and Christmas made it even more special. I had heard it was a pretty walk by the water to Riverside (during the daytime, a boat is also available, and the boat goes to Disney Springs all day too) so we walked there to check it out. Their dining hall and bar looked amazing! After walking back, we headed to my real reason for wanting to come here. They have gluten-free beignets! The kitchen staff were perfect, making me feel so safe, and I got hot chocolate sauce to pair with it. You can order 3 or 6, and though I planned to share half, I ended up eating 5 out of 6 because my husband loves me. The beignets are outstanding. Not quite the melt-in-your-mouth texture you’d expect from the gluten kind, but out of this world delicious, and even better paired with chocolate. After stuffing myself with sugar, we headed out to the car to make our way to my second choice resort: Grand Floridian. As you can tell by those two photos, our initial attempt failed. We tried to park at Grand Floridian itself, but their lot was too full, so it was restricted to those with a reservation. Instead, we parked (with ease) at the Polynesian, one of our favorite deluxe hotels thus far. It was a good excuse to tour an old favorite and visit Stitch before taking the monorail to our destination. Grand Floridian is extravagant and old-fashioned and too fancy for Ross and I. Nevertheless, there are parts of it (like some of the architecture, and the orchestra) that I love. They host some very special holiday decorations. Last Easter we visited the incredible Easter egg decorations their chefs had made. This time I had to see the gingerbread. 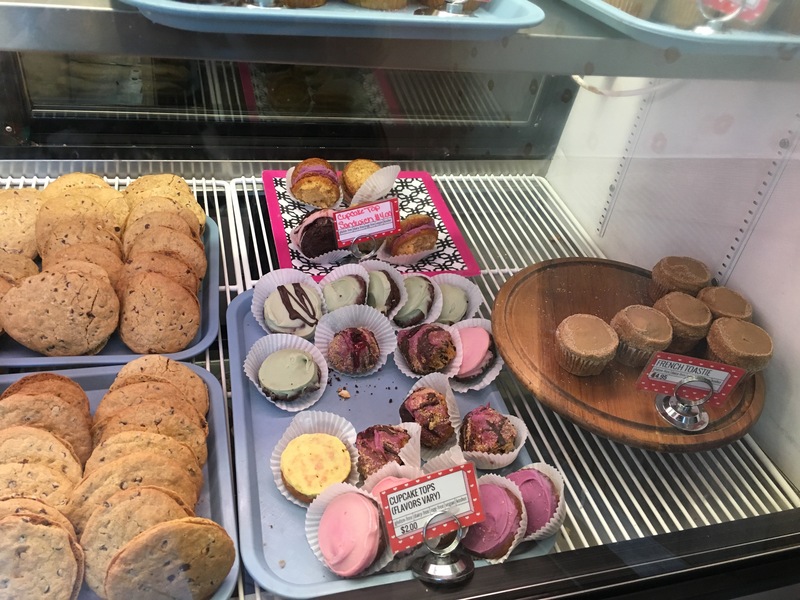 They also carry a variety of gluten-free treats (most made fresh), but all except for one had run out by the time I got there. 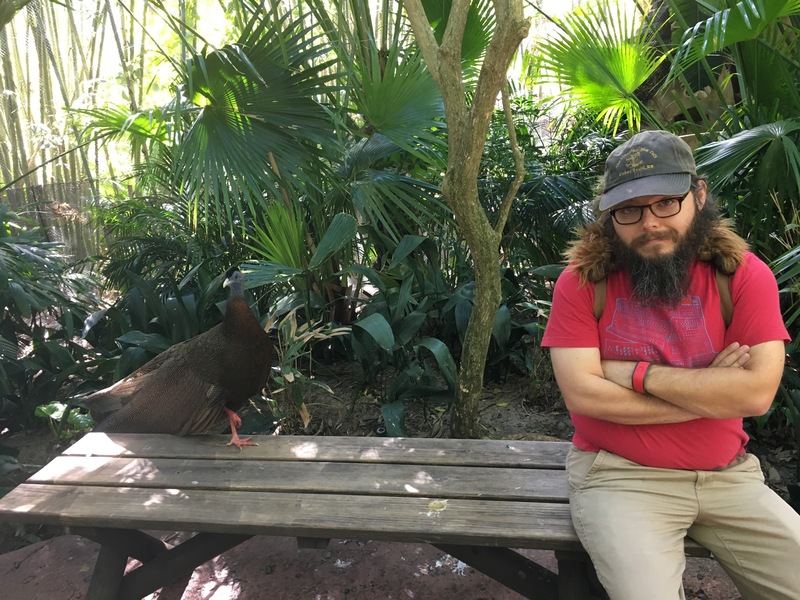 After GF, Ross needed a break from the crowds, so instead of taking the monorail (and going through security a second time), we followed the walking path to the Polynesian. It’s a nice walk along the water mostly, so we enjoyed it. I wasn’t sure if Ross would be too tired to continue, but he eagerly put the Boardwalk area into his GPS. First stop: Beach Club! I have passed the outside of Beach Club many times. It has the most epic pool and bar area, with a giant pirate ship and a sandy bottom, all shared with Yacht Club, and it has a beautiful beach. When we walked into the lobby, I was pleased by the decorations. Not a ton of character, but they looked really pretty. And I enjoyed the carousel gingerbread display a lot! The smell was really delicious too. Next up was Yacht Club. It reminded me of my grandfather. I’m sure my mom’s parents would have loved vacationing here, with the nautical influences, proximity to Epcot and the Boardwalk and even a miniature village and train for the holidays. Our final destination was Boardwalk Inn. They had a fun gingerbread display that recreates many of the shops at Disney’s Boardwalk. They also had some treats for sale. The Boardwalk Inn feels a bit like a less fancy version of Grand Floridian. It’s pretty, but in a fairly non-descript way, and it feels too fancy for me. But the reality is I’d love to stay at any of the Boardwalk resorts. You can’t beat walking distance to Epcot (and Hollywood Studios and Boardwalk as a bonus) in my book! After our final stop, we walked the Boardwalk and visited the beach, where Ross recorded a video for Instagram. Then we made our way back to the car. I loved our resort tour and I’m so thrilled we were able to fit so much in. Next time, Wilderness Lodge is a priority, and I want to see Fort Wilderness and Pop Century lit up too. And of course we skipped Animal Kingdom Lodge, our absolute favorite. But that’s because we are visiting there on Christmas! Happy Holidays, Merry Christmas, Peace, Joy and a Happy New Year to you all from Ross and Jamie. Wishing you a wonderful 2018. As some of you may know, my husband Ross and I are in love with Walt Disney World in Florida. We never thought we would be, honestly, but thanks to a week-long vacation courtesy of Ross’ sister in January 2016 (which I planned almost every detail of far in advance), we realized the magical, even relaxing place that Disney can be and knew we needed to come back. When it became clear that we’d actually be pulling off this crazy plan to RV across the country, we realized we would be becoming Florida residents (for health insurance)…and what would the fun of a Florida visit be without Disney annual passes?! 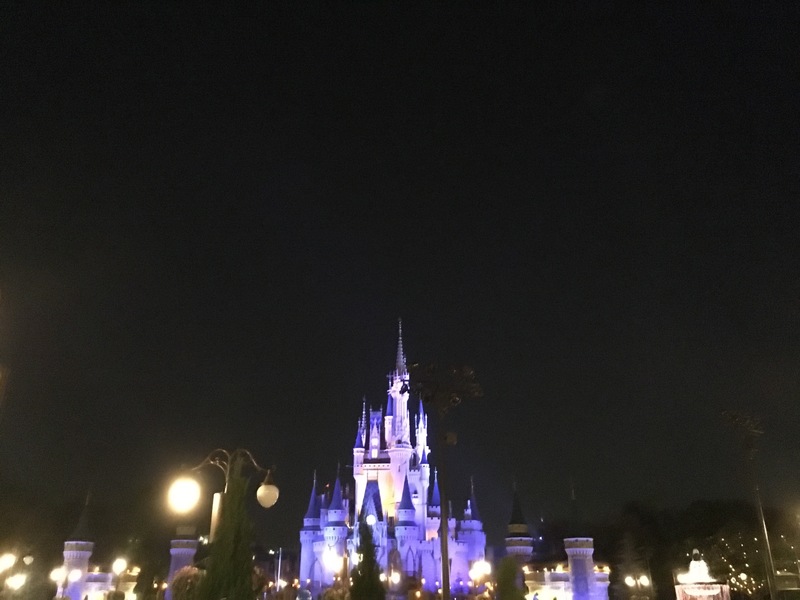 We became residents this winter and were able to soak up Disney World off and on for two months while staying in a nearby RV park, the cheap but charming Mouse Mountain RV Resort. We’re now back in the area for four months or so before we head to our next workamping position in Colorado. We know Disney still maintains a reputation as a family destination. 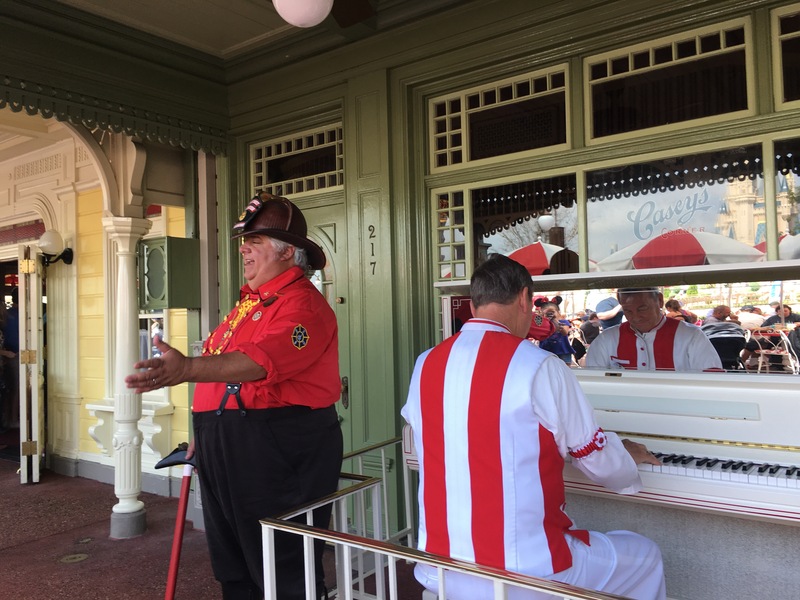 So here are our top five activities for adult RVers (or any adults) at Walt Disney World. Although much of the shopping at the Disney parks is more uniform than it used to be, there are still some fabulous places to find unique gifts. The best (and most obvious) option is Epcot’s World Showcase, carrying a variety of gifts from around the world. 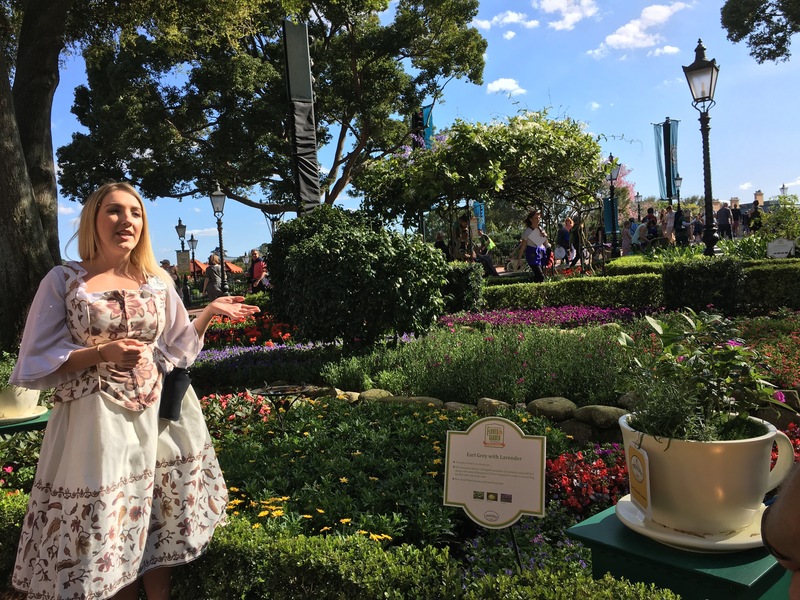 Whether your loved one craves perfume from Paris, a marionette from China or a delicious candy or they haven’t seen since Canada, take a look at Epcot. Will you pay more here? Sure. But there are deals to be had, and there’s so much to see! 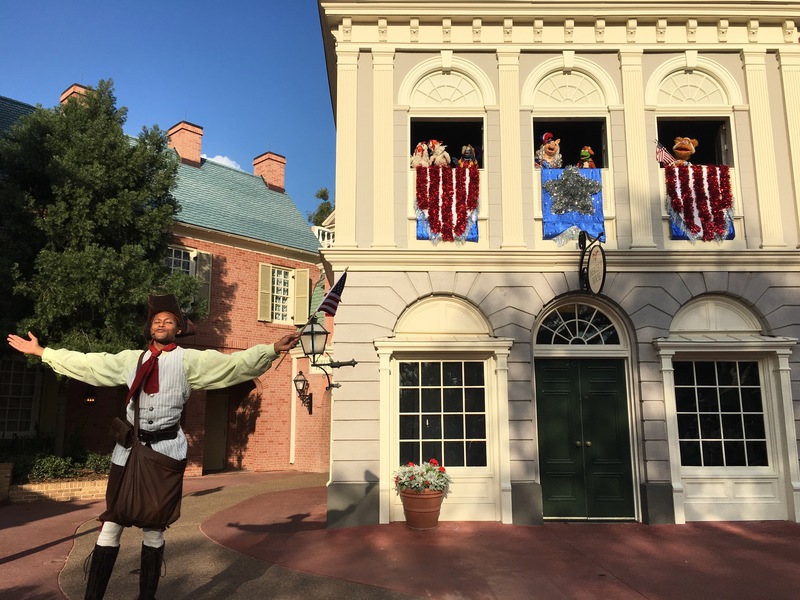 I’m a big history buff, as are many RVers, and there are some wonderful ways to learn about the history of Walt Disney and his creativity in the parks. Take a behind-the-scenes tour, like the ones in the Magic Kingdom on steam trains or on the history of the park itself. Ride the rides Disney created or played a role in, like Carousel of Progress, The Hall of Presidents or the Jungle Cruise. Lastly, be sure to visit Walt Disney Presents in Hollywood Studios for an exhibit full of historical artifacts from the parks and Disney’s childhood. Disney Springs is the latest version of Disney’s shopping and dining plaza. 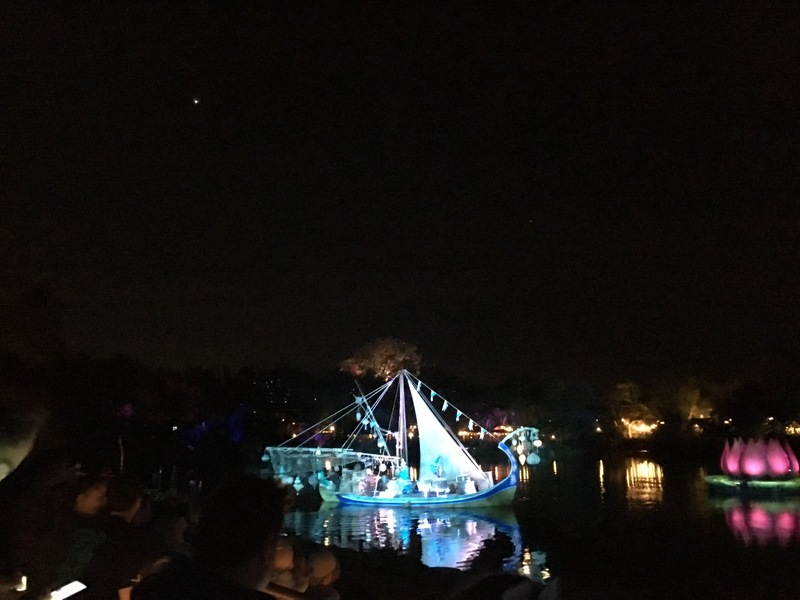 It’s centered around a beautiful lake and features everything from a movie theater to a Cirque de Soleil show (through the end of 2017 at least) to live entertainment, shopping and dining. It’s free to park and to visit, although some of the experiences cost extra, so it’s a wonderful way to get a taste of Disney without paying for a park day. Many shops offer free samples, and the atmosphere is festive, especially at night. Our absolute favorite place is Eliza’s Bakery. It’s gluten, soy, dairy, egg and nut (minus coconut) free, making it a paradise for those with food allergies or sensitivities, like me. Enjoy Mark Bittman’s favorite donuts, plus cupcake tops, brownies, cookies, bagels and more at this outstanding home of deliciousness. And share with me, please? 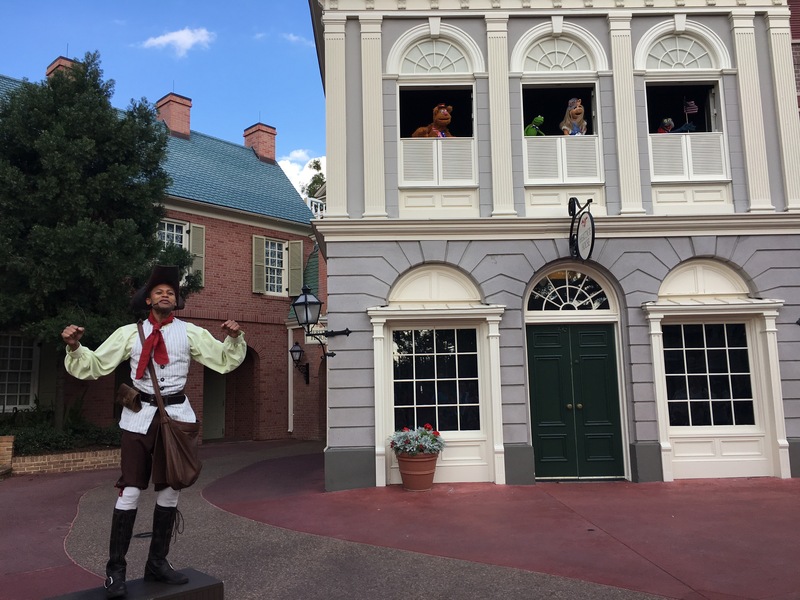 Epcot’s World Showcase is one of the most popular adult attractions at Walt Disney World. And why wouldn’t it be? 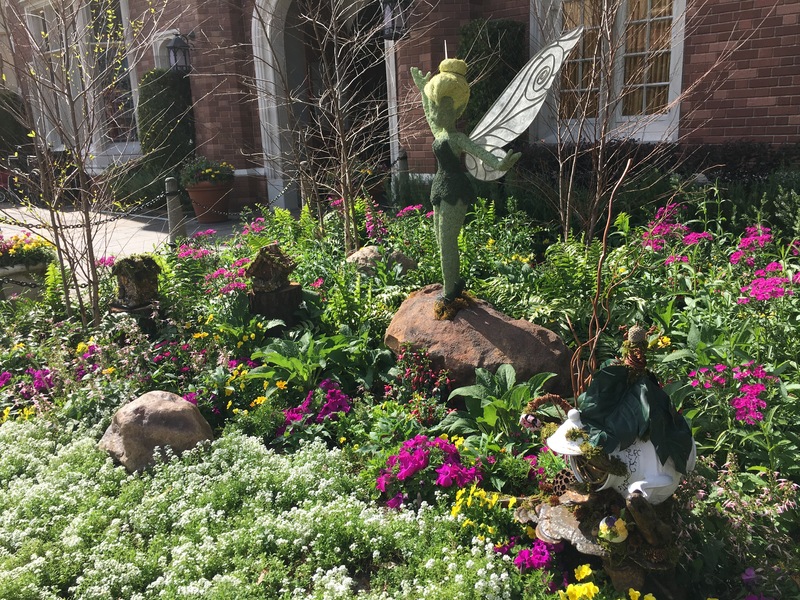 The area is gorgeous and transformative, with beautiful recreations of countries from France to Japan, with delicious restaurants and food stands and the option to drink while you shop and wander. It’s so popular, in fact, that local residents can purchase an annual pass that is ONLY good at Epcot after 4 p.m.! We love Epcot. Some days it feels like our favorite place, although that trades off with Animal Kingdom. 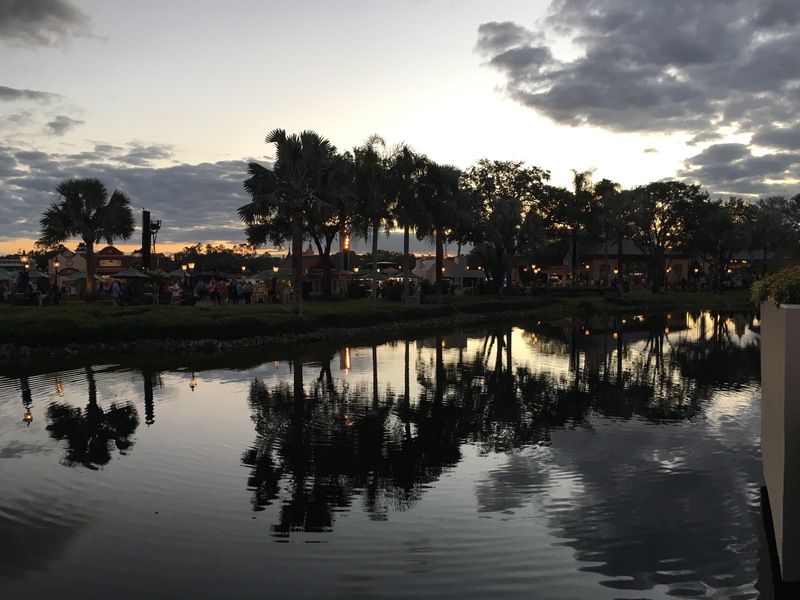 The World Showcase can get busy, but strolling its shops and streets never gets old, and there are tons of delicious treats, meals and drinks to try. So this is our top recommendation to adults who feel there isn’t anything for them at Disney. Like to shop? Like to drink? Eat? You’re all set. Without any of the inconvenience of international travel. 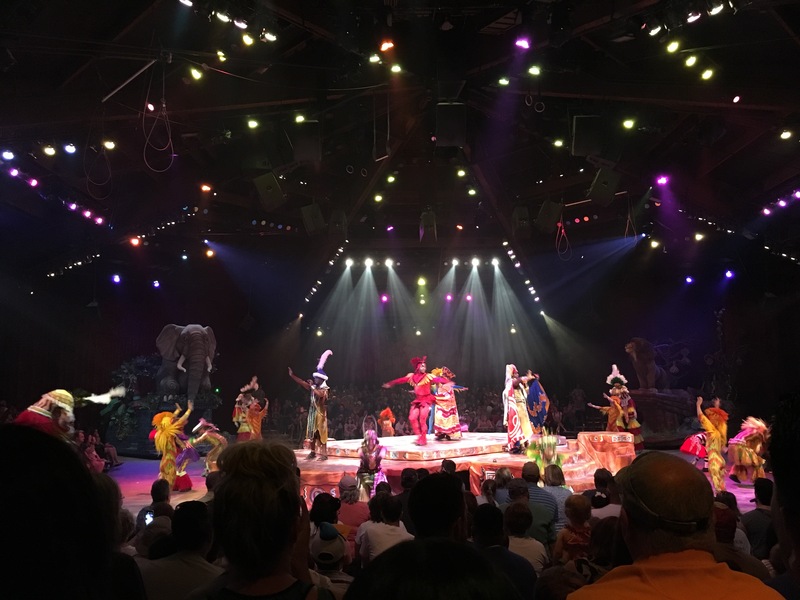 This park…seriously, our top recommendation is to spend time at Animal Kingdom. The atmosphere here is outstanding, especially in the immersive Africa and Pandora (Avatar) sections. 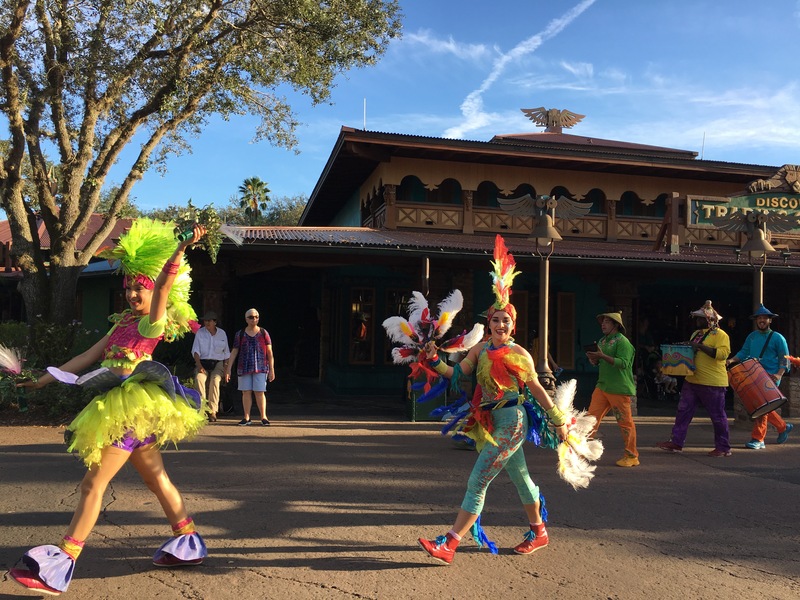 There is a ton to see here, with animals from gorillas to exotic birds everywhere you turn, as well as free shows like Flights of Wonder and Kilimanjaro Safaris, giving you a glimpse of elephants, lions and much, much more. If animals aren’t as exciting to you as they are to us, don’t worry. 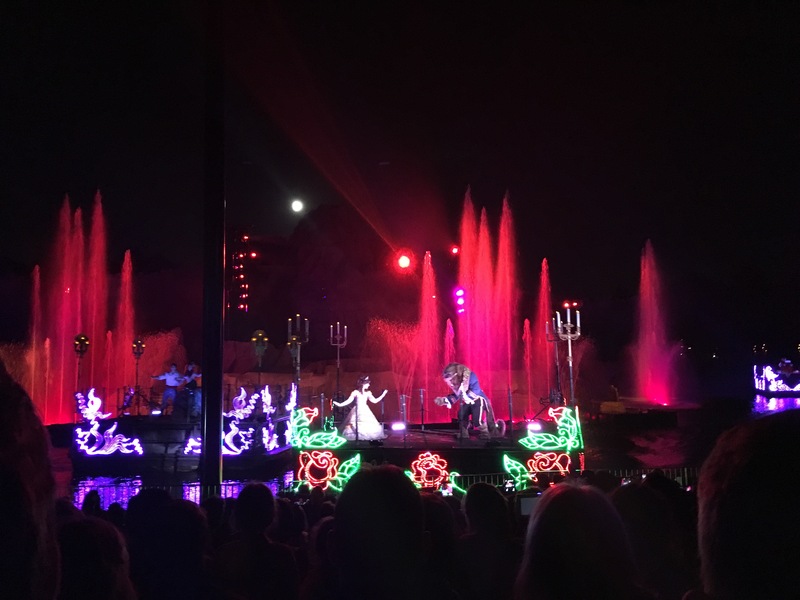 The live entertainment in this park is outstanding, including two fully staged musicals (Finding Nemo and Festival of the Lion King), with a variety of musical acts showcasing music from around the world and our favorite evening performance, Rivers of Light. Animal Kingdom is also our favorite place to eat. You’ll find outstanding counter service options in Africa, serving the most interesting ethnic foods in the park, and we can’t wait to try Tiffins for a fancy meal. Be sure to try a Dole Whip with rum or a fancy mixed drink here too. You may notice I didn’t make many ride suggestions. This park really isn’t about the rides, although there are plenty to try, including a few great roller coasters. What makes this park special is that you can wander everywhere and never visit a ride, or even purchase anything, and still have an amazing experience. What’s your favorite part of Disney World? And if you haven’t been, what would be first on your list? Many of our New Hampshire (and other) friends believe that we’ve moved to Florida permanently. Not true! We may have settled in Florida for a few months, and we may have become “Florida residents”, at least by name, but we are still full of the travel bug and eager to keep exploring all this country has to offer. So why, you may be wondering, did we spend about three months in Davenport? We had a few major reasons. 1) We were running out of money. When we originally planned this trip, we hoped we would be having significantly greater success booking along the road than we actually did. 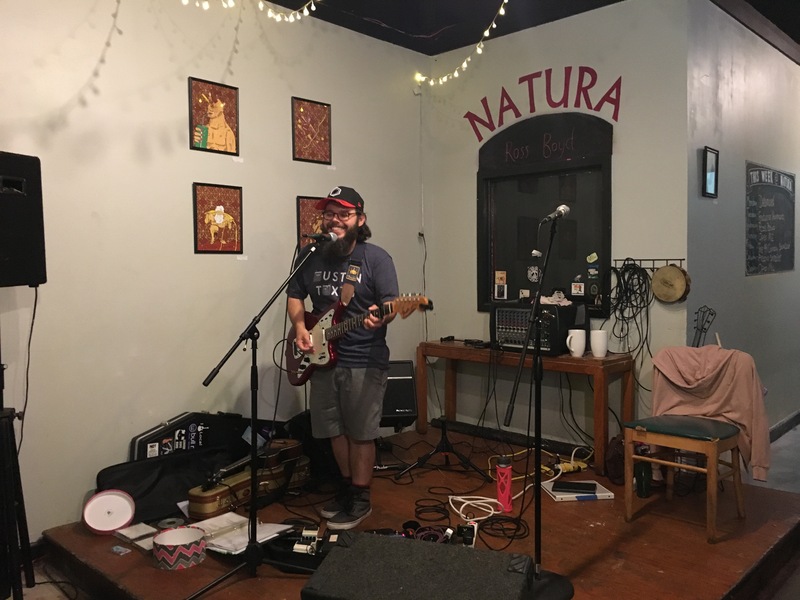 Our first few gigs didn’t come until Bisbee and Tucson, and neither paid much. Booking is hard work as it is, but when you’re still establishing yourself as an artist it’s even tougher. And despite contacting more than fifty churches, only 1 booked us to perform – and that was unpaid! So we’d been living off of savings and knew our savings were coming to an end. Staying still for two months (or three, as we ultimately decided to do) meant we could limit our gas expenses, pay a cheaper monthly rate ($430-$460/month plus electric in this case) and pick up part-time jobs to help us bridge the gap in our incomes. 2) We decided to become Florida residents, which is a complicated proposition. From new bank accounts to a new “permanent” mailing address to registering vehicles, health insurance and voting, there’s a ton to do when you move to a new state, particularly if you’re self-employed. Since we plan to be on the road for at least another year, it made sense to become Florida residents. We won’t have to go back for annual renewals as almost everything can be done by mail, including registering vehicles. We use a service called St. Brendan’s Isle which is pricy but so far very helpful in managing our mail as we travel. 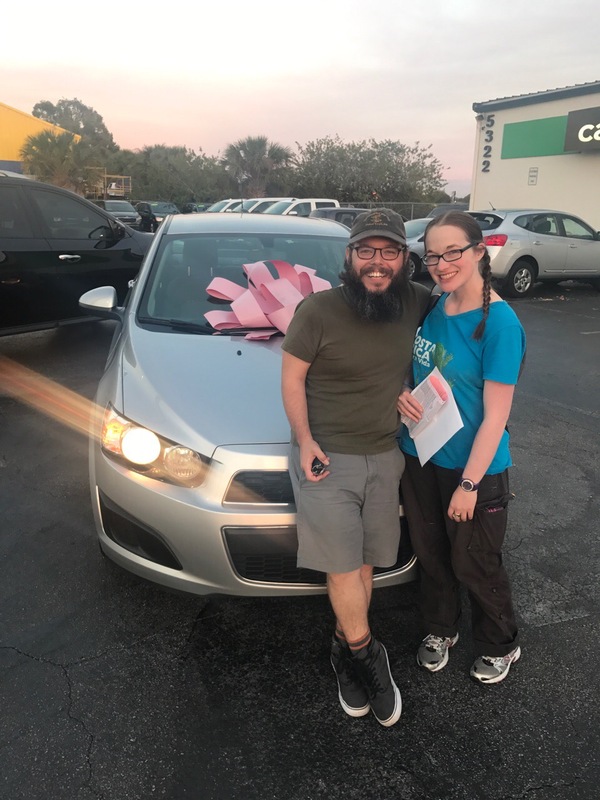 Also, because we were becoming residents, purchasing a car in Florida was the way to go. 3) Why Davenport? It’s outside of Orlando, where we booked a few gigs. But the reason we chose it, honestly, is its proximity to Disney World! Ross and I were blessed to visit the parks last year thanks to an incredibly generous wedding present from his sister. We received six nights at a cheap Disney hotel (All-Star Music), five days in the parks (we were able to add a sixth day for about $20 each if memory serves) and were then gifted some spending money by family, so all we had to do was provide our airfare and food/spending money for the trip. Absolute heaven! We honestly went in thinking it might be awkward as we weren’t “Disney people” and the idea of dropping our own 2K on a week’s vacation felt like an indulgence we couldn’t afford. But the reality was, we had such an amazing time that we wanted to go back again as soon as possible! 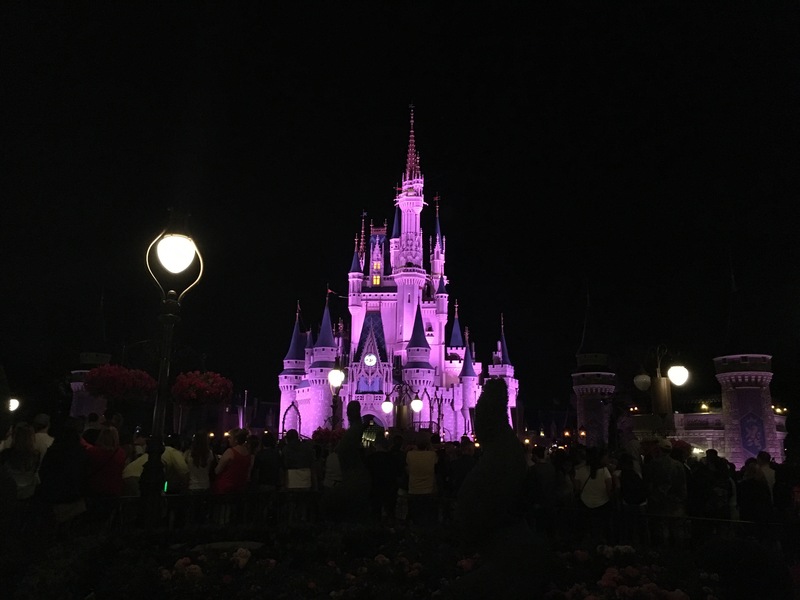 When we finalized our RV travel plans and needed a new state of residence, access to Disney on the cheap was a definite plus for us. For less than $300 each we can access all four parks Monday – Friday with only a couple of months of blackout dates total. 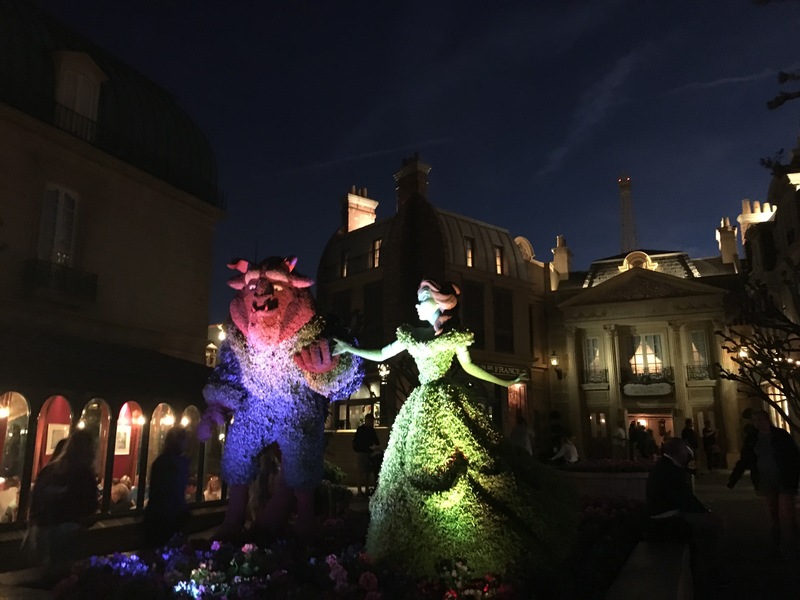 So we had more than seven weeks in the parks this winter, and we will back this fall for even more fun.﻿ Davenport is a great area to visit if you’re a Disney fan. There are many other parts of Florida that are prettier and less stressful (avoid I-4 at all costs! State highways are your friend!) but you can’t beat this area for convenience to the parks. There are also plenty of places that you can pick up a part-time job, even as a snowbird, if you play your cards right. And Kissimmee and Orlando offer great local cultural opportunities. Yeah, I know. My poverty revelation isn’t exciting. But the more I read and research, the more I realize that if Ross and I had previously been in comfortably middle class jobs, it would be FAR easier to do what we’re attempting to do. Seems obvious, of course, but if you make more money, you can save more money. But I said I was going to focus on practicing thankfulness, so that’s what this next post will be about. And I am researching more ways that we can do more with what we have, even if we can’t, say, retire at 40. I’m thankful that my doctors are taking me seriously. The rheumatologist hasn’t said anything enlightening yet, but I’m still hopeful. I’m thankful that I have a supportive family who will back us up. I’m thankful that I was offered a job for the summer, if I want it. It may turn out that that particular opportunity goes away due to some crazy circumstances, but I’m hopeful. I’m thankful that Judy Pancoast has asked me to musically direct her Carpenters tour this fall. I’m hopeful that between that and our own work, we can get an exciting schedule together. I’m thankful that my church so appreciates my work that they gave me a nice Christmas bonus as well as a raise, before I’d even been there a year. I’m thankful that my arts job gives me the flexibility to attend appointments. I’m thankful for my husband. He makes it all worth it. I’m thankful for a loving and relatively sane family. And final thought for this moment? I’m thankful that due to the generosity of Ross’ sister and husband, we just got back from a one week escape from reality aka Disney World. Since they covered our tickets and housing, we just had to save for the flight and our incidental expenses and food. We enjoyed a much needed break from real life and had a truly marvelous time. It was so good for our relationship – and it got us really excited for RVing because we LOVED being together 24/7. Life is good. Thanks for reading. Keep at it and I’ll talk to you soon.